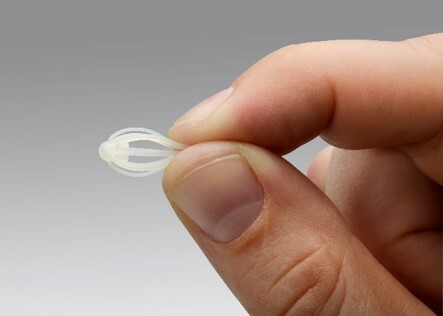 SINUVA is a sinus implant that treats nasal polyps without surgery. During a routine office visit, our doctors will use topical and/or local anesthesia to numb the patient’s nose and sinuses. SINUVA is then placed in the sinus cavity through the nasal opening. The most common adverse reactions observed in a clinical trial were bronchitis, upper respiratory or middle ear infection, headache, light-headedness, asthma and nose bleed. SINUVA is indicated for adults with nasal polyps who have had ethmoid sinus surgery. 2Data on file, Intersect ENT. RESOLVE II Rev. 3.0 CSR R 28017; February 2017.